Nokia's first year under the command of HMD Global seems to have gone rather well. The company has launched a wide selection of phones, hitting all price points, and as we march through 2018, it has started updating 2017's devices with new versions. Hence the Nokia 5.1, the next iteration of the Nokia 5. Announced alongside the Nokia 2.1 and Nokia 3.1, the new 5.1 stretches its legs a little more than those other devices, making some important steps to give you a compelling mid-range experience and embrace some of the latest trends in smartphones. The Nokia 5.1 has made the move to an 18:9 display - which we'll talk about in a second - but in doing so it jumps on one of tech's greatest bandwagons, giving you more display in your device, without it swelling in size. What the 5.1 retains from the previous version is the solid metal body. 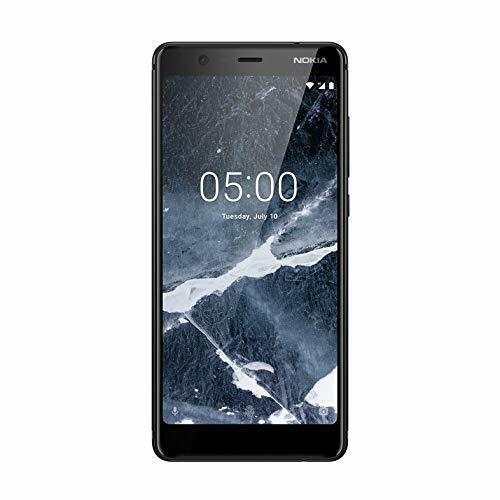 While the 2.1 and 3.1 use plastics, the Nokia 5.1 is the first unibody device in HMD Global's portfolio. It takes 33 stages to form, sculpt, anodise and polish this handset into its final form. Across the board there have been improvements in build quality from the likes of Honor and Motorola, offering increasingly sophisticated designs are increasingly tempting prices. The Nokia 5.1 gives you diamond cut detailing revealing contrasting colour highlights, with a new satin copper colour being offered alongside more conventional black and blue. The antenna bands sit on the ends of the handset and these are plastic. It's the same sort of finish that we saw on the Nokia 8 and while the blue version blends in quite well, the copper version isn't quite as seamless. Regardless, in the hand, the Nokia 5.1 feels like a quality handset. One of the big upgrades to the Nokia 5.1 comes in the form of the shift to an 18:9 display. Popularised by Samsung and LG in early 2017, it's now sweeping across all manufacturers at all levels. For Nokia, the 5.1 goes one better than the 3.1 by increasing the resolution to Full HD+. That gives you a 2160 x 1080 pixel resolution for 443ppi, which is pretty high, a solid resolution for a device of this size. Ultimately, it means that this display can technically show a higher level of detail than some of its rivals. It matches the Moto G6 for resolution, squaring up against the likes of the Honor 9 Lite. First impressions are of a nice display. We haven't had the chance to fully assess its performance, but we found the colours to be vibrant and the whites nice and clean, so it's off to a good start. There's also a big performance boost over the handset that the Nokia 5.1 replaces - with HMD Global telling us that there's a 40 per cent boost from the new octo-core MediaTek hardware that lies within. MediaTek is often used to keep prices down and here it's paired with either 2 or 3GB of RAM - and we're drawn toward the more expensive 3GB version, because it also gets 32GB of on-board storage. If that's beyond your budget, both support microSD to easy expansion. Naturally, we've not had the chance to test this handset in anger and the model we were using was pre-production, so we can't yet advise on the overall performance. Likewise, we didn't have the chance to test the fingerprint scanner that's now moved to the rear of the handset, but you will notice that this phone is equipped with Micro-USB, rather than the more recent USB Type-C, which does make it feel a little dated. There was once a time when manufacturers would lower prices of devices by pre-installing apps. Nokia announced at MWC 2018 that it was jumping into Android One with both feet. The Android One programme was designed to let customers know that they are getting a pure Android device, without any of that bloat. The results are rather good - it's effectively the closest you'll get to the Nexus or Pixel experience - and while Motorola promised a similar clean software experience when they originally launched the Moto G, it's never been to Android One standards. There's a major advantage that comes with this: HMD Global promises 3 years of monthly security updates and 2 years of Android platform updates and the track record on existing devices has been rather good - the Oreo update came to some Nokia phones months before they got to some of the big name rivals. That's a real strength, especially in affordable phones - you don't need to bloat and here you don't have to deal with it. We've not had the chance to fully test the camera performance on this new phone and in truth, while brands like Moto and Honor are pushing dual camera systems into more and more affordable devices, Nokia hasn't taken that route. If you want a dual camera on a Nokia phone, you'll have to look to the larger (and very good) Nokia 7 Plus. So here you have a new 16-megapixel camera on the rear of the phone and a wide-angle 8-megapixel camera on the front. A few test shots revealed that the camera opened and snapped off a shot fast enough, but we've really not had the chance to gauge its full performance. All of that has real appeal, but then there's a new Nokia 6.1 only a little more and again, it's a good affordable device. From our brief time with the Nokia 5.1 we've not been able to judge the performance, battery life or camera to any great extent and it's lurking in these details that this Nokia's daily experience really lies. The Nokia 5.1 will be available from July 2018, we'll update as and when we have more information.